Please fill out the Service Form below and after review, we’ll respond back with info on how to send your gear to us. Thanks! Please complete this form as comprehensively as possible. The more information we have, the better we can do our job. 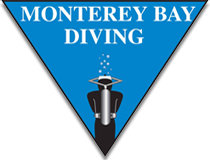 For dive shops, please contact us directly at (831) 204-9623 or info@montereybaydiving.com. What specific issues/problems (if any) do you want us to address? May we change bad mouthpieces? May we change bad SPG spool O-rings? May we change bad hoses?